Lay preachers, exhorters, and class leaders have served the church since its earliest days. 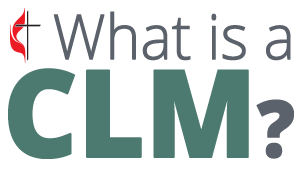 In deference to an expression of gifts and evidence of God’s grace associated with the lay ministry of early Methodism, the Certified Lay Minister (CLM) is to be recognized and utilized. Certified Lay Ministers are meant to enhance the quality of ministry to small membership churches and to expand team ministry in churches. Certified Lay Ministers preach the Word, provide a care ministry to the congregation, assist in program leadership, and are to be a witness in the community for the growth, missional and connectional thrust of The United Methodist Church as part of a ministry team with the supervision and support of a clergyperson. Many Certified Lay Ministers serve as assigned pastors in the Greater Northwest Episcopal Area. Still others serve in different leadership contexts supporting and enhancing local church ministries. The Pacific Northwest, Oregon-Idaho, and Alaska Conferences recognize the strength of the lay ministry and are committed to providing relevant training to further enrich lay leadership in our churches. The Certified Lay Minister is assigned by the district superintendent to provide lay servant leadership in a ministry or in a church. There are four major components in the formation of these leaders: training, supervision, support, and accountability. Read more about the training cycle here. ¶ 271 from The Book of Discipline of The United Methodist Church provides both detail to the process and definition for the role of Certified Lay Minister. This FAQ prepared by United Methodist Discipleship Ministries helps to answer some common questions. Please note that our area’s training is distinct in some ways from others.